Back when I used to scrapbook I LOVED using sketches. That carried on to my cardmaking. My favorite challenges have always been sketches. 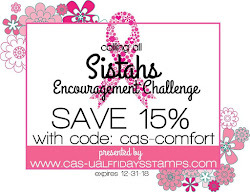 So, you can guess my excitement when I discovered the Calling All Sistahs Encouragement Challenge is a sketch! Check it out. Imagine my surprise when I ended up with a Fall card instead of pink and glitter like I had planned. I guess Fall is in the air. If you check out the rest of the Encouragement Squad inspiration, you will quickly notice my card is not like the others. I started with a tag for this card by stamping the acorn, and coloring it with a blender pen. Then making a mask for the acorn out of a post-it-note and stamping the leaves around it. The little scallops needed something and I was going to use a marker to make dots, then I remembered the Candy Dots from Stampin' Up I have. They are likely retired, so it was tempting to hoard them, but it was time they got used so I added one to each of the little scallops. Then I was faced with what to do with the background to match the sketch. 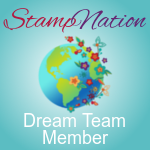 I thought about pulling out one of my woodgrain embossing folders. 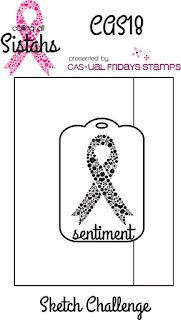 I also considered just putting down a strip of ribbon to mimic the line in the sketch. In the end I remembered I have woodgrain paper so I pulled that out. Then the jute ribbon on the wall caught my eye and I tried laying it on the paper. Instant perfection. Now the top of my tag looked too plain. I didn't have any ribbon to match the colors of my leaves and the brown ribbon faded into the background. So, I tried a little scrap of red ribbon and bam! my card was complete. Here is a little bit of my inspiration for this card. Driving up to Hurricane Ridge in the Olympic National Park last weekend. Gorgeous and sunny Autumn day. 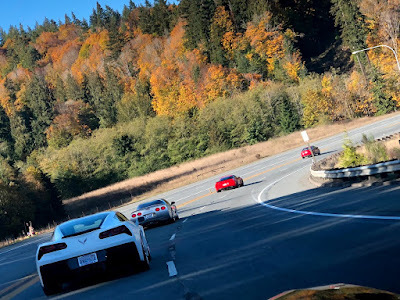 Drive around the Hood Canal on our way to Port Angeles, WA. 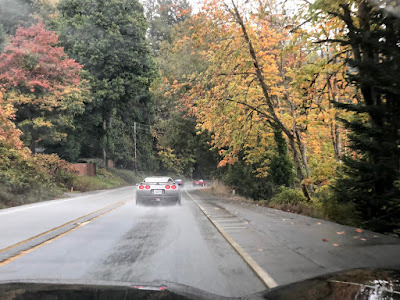 It was raining so I had difficulty getting good pictures, but we so enjoyed the driving! 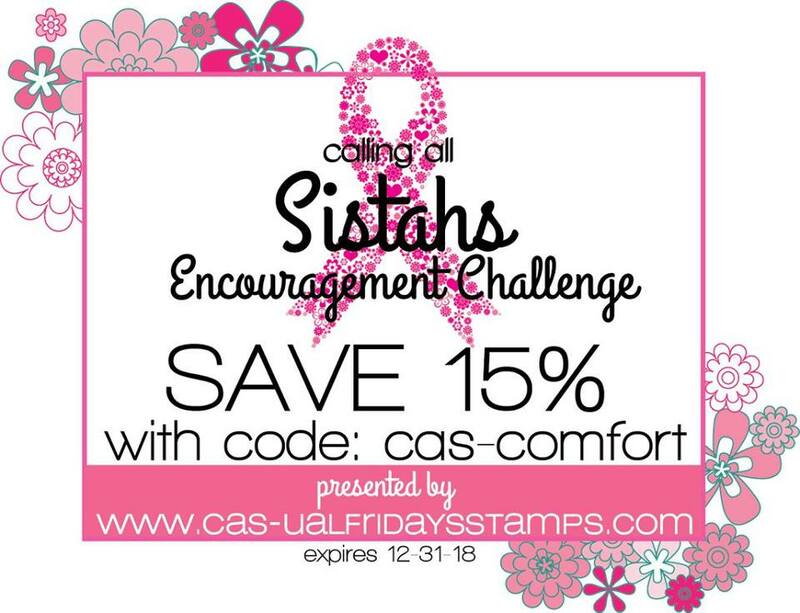 Head on over to CAS18 to see what my talented Sistahs have created and be inspired to add your own ENCOURAGEMENT card to the challenge! Don't forget to use our coupon code when shopping. 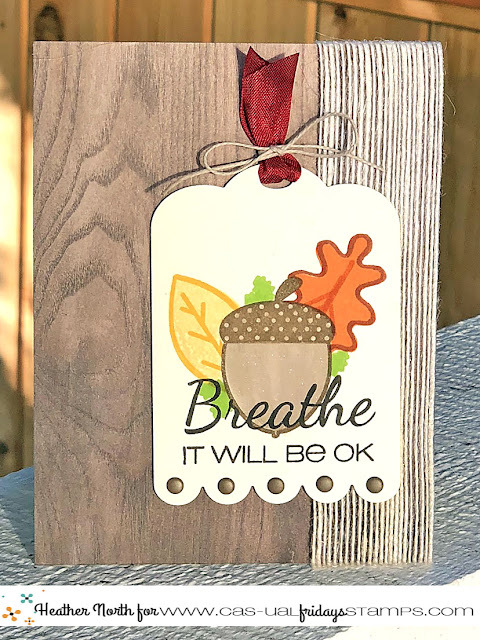 I love the wood background and your tag is adorable! Love the way you tied off the top of the tag!! oh what a lovely idea for this sketch and such super texture-an Autumn delight! Thank you, Lori and Sandie!